Ever follow a link to a magical site that captures your imagination? Where you promptly spend hours consuming content and lose all track of time? Which is why I suggest you visit some of these when you have the time. You’re not going to want to rush through any of them. Some of the most beautiful jewelry in the world has often been worn by royals. From sparkling tiaras and gorgeous brooches to jaw-dropping suites of jewels (parures), these pieces are often handed down from generation to generation and become part of the family lore. Royal watcher Ella Kay takes you behind the scenes and around the world to look as some of these amazing pieces, with a look at royals both past and present. You can learn the history of various pieces, see what royals are wearing today, and find resources galore. Very well researched. 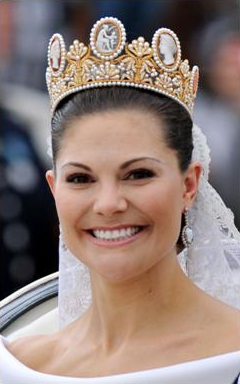 Crown Princess Victoria of Sweden wearing the Cameo Tiara for her 2010 wedding. All Swedish royal brides have worn it for their weddings since 1961. The crown was originally created for the Empress Josephine of France c. 1805. Want to know why Cartier has been called “The Jeweler of Kings” for over a century? It’s because they’re both artists and craftsmen who can turn some of the most beautiful gems ever found into some of the most astonishing jewelry ever created. Flowers, birds, snakes, panthers – you have to see it to believe it. Watch their videos, read about some of their commissions, and imagine yourself wearing their one-of-a-kind masterpieces. A must for any fine jewelry lover. 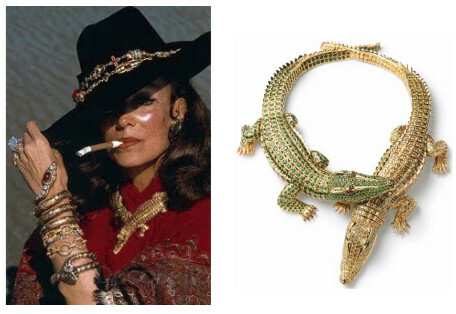 Spanish actress Maria Felix (left) commissioned Cartier with creating the crocodile necklace in 1975. The necklace contains more than 2,000 diamonds and emeralds. The crocodiles come apart and can also be worn as bracelets. Love beautiful fashion, furniture, and fine art? You’re in luck! 1stdibs is the ultimate resale shop where you can find amazing high end pieces from across time and around the world. So whether you’re looking for vintage Chanel or a mid-century hat, an antique chair or a current chandelier, 1stdibs probably has it. Yes, the pieces are expensive, but you don’t have to buy anything. You can fuel your dreams just by seeing what’s what in the world of luxury. It’s really quite amazing. 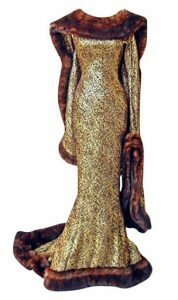 Thierry Mugler Paris Haute Couture Medieval Gown. Love perfume? 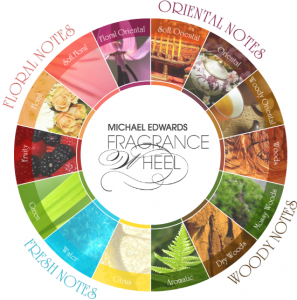 So does Michael Edwards – so much so, in fact, that he developed a fragrance wheel back in the 1980s to help people determine their best scents. He goes in depth into all the fragrance families and can help you find a signature scent. Or, if you like a particular fragrance, he can help you find others from the family that you might like. Come see why he’s a industry leader – he really knows his stuff. Want to try different makeup products but don’t want to waste your money on stuff that may not work? 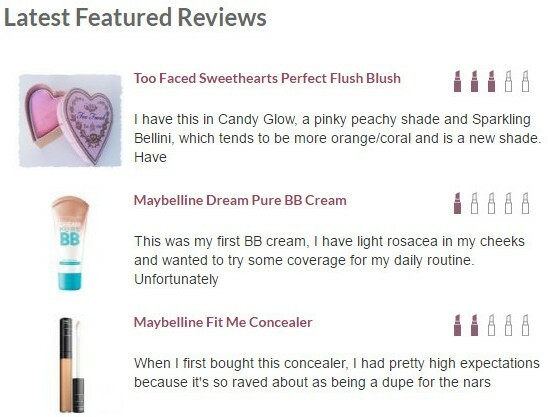 Then head to Makeup Alley and check out their product reviews before you shop. This very active site has tens of thousands of makeup devotees all over the world who can tell you what’s what when it comes to products. Blogs, recommendations, chat boards, and more – it’s a very active community with more than 2.5 million product reviews. 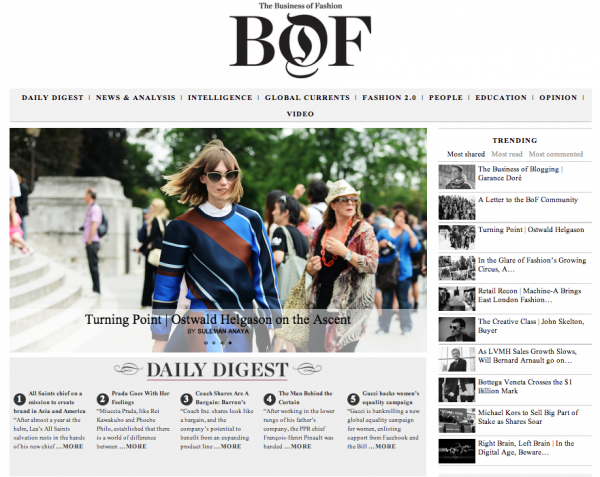 If you’re in the fashion industry and want a one-stop-shop to glean all the latest fashion news, The Business of Fashion has you covered. From trends to tips to daily headlines, this site explores them all. You can learn a lot just by visiting, but a professional subscription gives you access to even more. Decide which level suits you best, then come back often. You’ll learn a lot. The modern fashion industry started in Paris, so it makes sense to visit there from time to time to see what’s happening. Vogue Paris makes it easy. 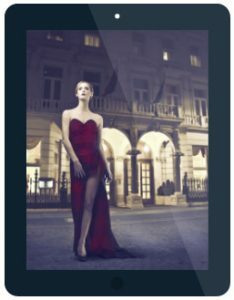 Whether you speak French or prefer the English version (just click on the Union Jack in the top right corner of the screen for English), you’ll get to see what’s happening in the City of Lights while enjoying that Old World feel – no travel required. There really is nothing quite like it. 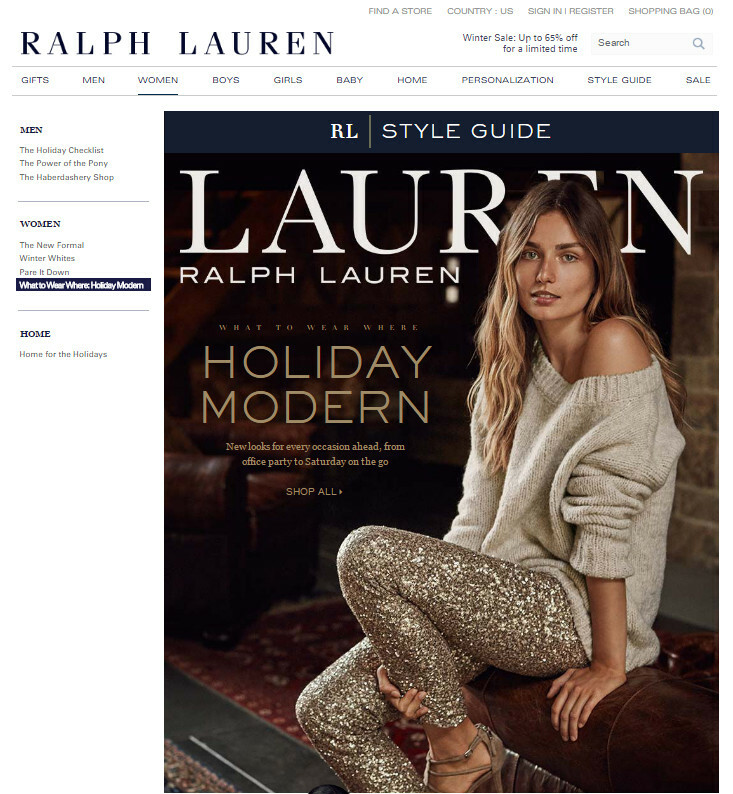 Ralph Lauren is the father of American Sportswear right now, and his site is still one of the best. He lays out his products in a logical fashion AND he offers style guides on how to wear his clothes. He knows fashion, he knows his customers, and he shows you how to dress whatever your price point. Truly brilliant. 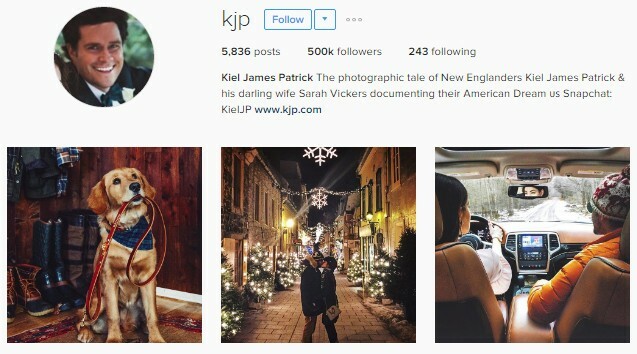 Often called the “Young Ralph Lauren,” Kiel James Patrick has a popular Instagram account that shows a life of leisure for a 30-something in New England. Sailing, ski weekends, playing with the dog, multi-million dollar estates – this guy has his act together. Or so it seems. In reality, venues line up to be featured in his Instagram feed, and he runs a thriving clothing company from his website. A truly 21st century business model. Long time Houston news anchor Dominique Sachse started her YouTube channel a few years ago to talk about hair, makeup, fitness, and more. Her tutorials are information-packed and will make you look both beautiful and camera-ready – just like Dominique. While there are tons of great beauty vloggers on YouTube, it’s Dominique’s years in front of the camera that make her a standout for me. Watch her and then look at some of the others and you’ll see what I mean. So there you have it: 10 drool-worthy fashion websites to spur your imagination and help you look great.